A: Works for all skill levels, customers include; elite professionals, amateurs, and parents of young athletes. A: You can train unrestricted, as usual; gaining excellent results. We understand how our products may appear restrictive. However, our patented Exoprecise design works to improve strength, speed, and precision with all training methods. A: “Exoprecise Resistance,” and “Exoprecise Acceleration,” combine to provide immediate results. A: Over time the more you use it, the better you perform. A: Power; is a combination of strength, speed, and precision; all three are the primary benefits of our patented technology. A: “Exoprecise Resistance,” improves strength in the exact muscles you use for your sport. A: “Exoprecise Acceleration,” develops fast twitch muscle fibers you use for your sport. A: “Exoprecise Resistance,” keeps you at the perfect distance from your body’s center for all your movements; developing precision to improve your mechanics. A: Our product improves the performance of 1) conscious muscles, used when you think about movement, and 2) automatic muscles; used when you don’t think. Examples are powerful/explosive and, fast twitch muscles. A: Use with any drill, or gameday simulation exercise. Remove either arm to work on isolation drills. A: You can train uninhibited as usual. A: Quickly slide it down your arms and wear around waist; ready for the next time you want to use it. A: For best results, we recommend to use it during all training sessions. Like working, out at the gym for strength, speed and agility, the more you train; the faster, stronger and more precise you get. Stop using it, and you’ll slowly regress, the same as working out; until you plateau. A: Simply adjust the size to customize the contours of the female body. A: You can reduce the size of the armbands and torso band to fit the smallest players. Increase for big body professional athletes. A: 5 minutes, after correct sizing you can use/wear during practice in 10 seconds. A: You can comfortably wear it for your entire practice. In fact, you can wear it all day if you wanted. A: Reduce the size of the torso band to increase resistance. Increase to reduce. Additionally, you can increase by wearing lower on your arm, and reduce by raising the height. A: Exoprecise design is durable, and high-tensile. A: If you have any pre or post-order questions go to our contact page, and we can help. 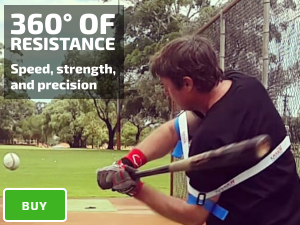 A: Place an order on our website the official online shop for our groundbreaking Laser Power Swing Trainer; baseball and softball power hitting aid. 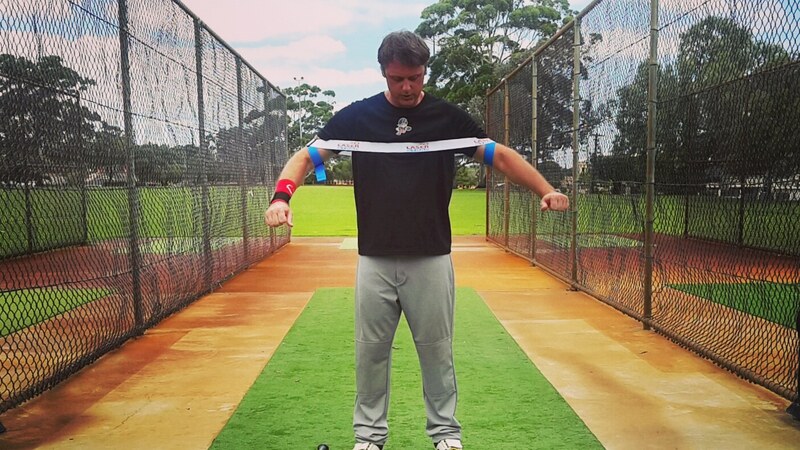 Find the store at hitlasers.com/product/laser-power-swing-trainer/. On our product page, select your order quantity, and click add to cart. Making changes to items in your basket. On the cart page you can change quantity by clicking the arrows. To delete item, set the order quantity to zero (0). Go to our product page (see additional information tab), to view information about accepted payments, warranty and delivery. Go here for the latest information about returns and refunds. A: You can only buy from our website, excluding South Korean residents who must purchase from your local dealer go to hitlasers.com/kr/ for more information. A: Use our contact page to find out more information. A: Patented, Exoprecise Technology is the first of its kind. Allowing, you to train as usual; getting a workout in the exact muscles used for your sport. A: WIPO, PCT covering 152 contracting nations, patents for non-contracting countries, and global trademark protection; WTO and Paris Convention. To find out more please use our contact page.